Thank you for adding me to this forum. I've focused on eating the traditional way of our ancestors for several years, but didn't know about Einkorn until recently. I purchased a book specifically for baking with Einkorn and joined a FB group. 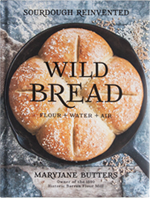 Someone in the group posted Maryjane's book, Wild Bread, and I was hooked. I received it a few days ago and am thrilled with the simplicity of MaryJane's sourdough methods and recipes. Welcome Linda! We're here for you should you have any questions along the way. So glad you found us. Eating a traditional diet is the reason I'm about to bundle up and head out to milk my two cows, Miss Daisy and Maggie. One-year-old aged parmesan cheese and homemade einkorn crackers sure do make for good eatin'. Hi Linda and welcome! 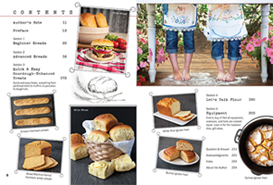 I'm excited that you're using Einkorn flour (the whole-grain version, based on reading your other posts), and am looking forward to hearing all about your mother and the breads you make with it.